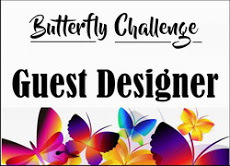 I recently ordered of some of Joanna Sheen's new Signature Christmas border dies, but most of my cards were done by the time they arrived, so I thought I would give them a quick try for the final Rudolph day challenge. 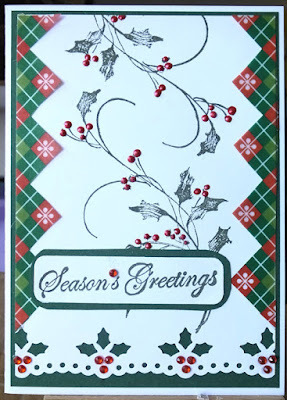 I bought three borders, Holly, Snowflakes and Stars, so for my first card I used the holly. I am not sure whether Lidl's stores carry the same offers at the same time around the world, but if they do, you may have seen that last week they had stacks of their popular card and paper pads, and also some Christmas pads that contained several designs of printed vellum, each with a matching printed card and a plain paper. So of course, I bought one. For this card I have just used some little pieces of the green and red vellum, with the plain green paper. I like these pads because they are B sizes rather than the usual A sizes found in UK, and one sheet cut in half will make two European cards that fit the standard envelopes out here. They are just a bit bigger than an A6 card and give you a little more space to work in. I have used a plain white base card, covered with a large mat of green paper, and then a white mat cut along the lower edge with the holly die. I edged the white top layer with strips cut from the printed vellum, and stamped the centre with my favourite holly stamp by Penny Black. This is one of my oldest stamps and it has been used every year since I bought it. 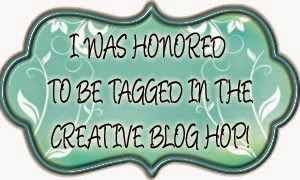 The sentiment was stamped and die cut using a Sizzix/Hero Arts set that I recently won in Pixie's Snippets Playground. To finish off, and give it a little bling, I added tiny red gems for the holly berries in the border, and red liquid pearls for the berries on the stamped image. 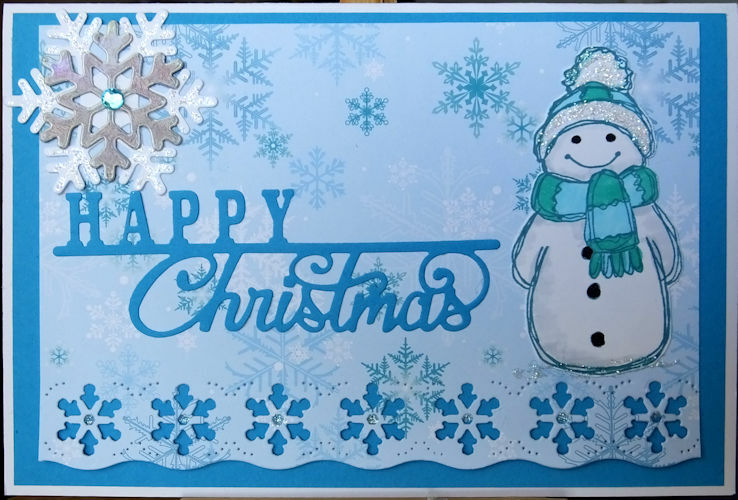 For my second card I used the snowflake border, again cutting a white base card and covering it with some dark turquoise paper. 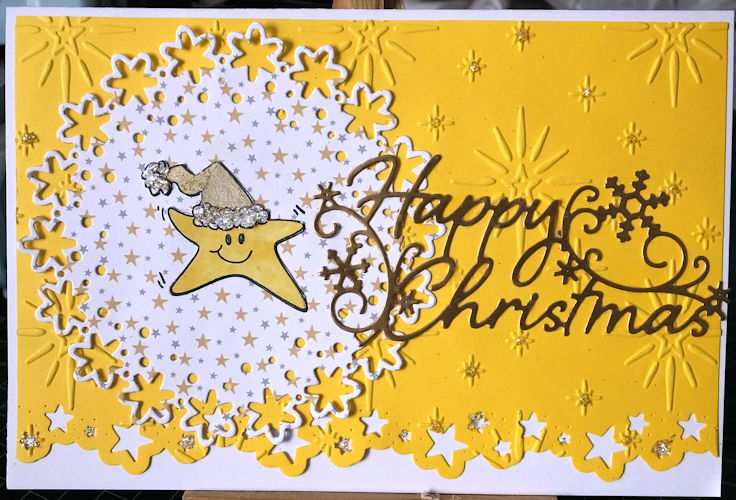 The top layer was cut from the matching printed card from the Lidl's pad, with the snowflake border along the lower edge. 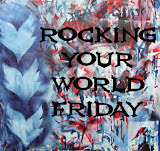 I used the piece from the centre of the blue layer to cut the sentiment with a Creative Expressions die. Then I found a snippet of white paper and stamped the snowman, another very old but much loved and used stamp by Fun Stamps. I added some colour and cut him out to stand beside the sentiment. Then two more snippets of white and irridescent silver were used to die cut a snowflake for the top corner. There is some stickles glitter glue on the snowman's hat trim and bobble, and along the base of him, and some on the white snowflake and the centres of the flakes in the border. None of that shows in the photo, but it does add a nice bit of sparkle. One blue gem in the centre of the snow flake finished it off. 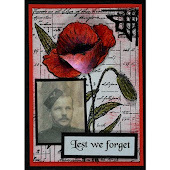 Having got this far I thought I might as well use the third border so I looked for something 'starry'. 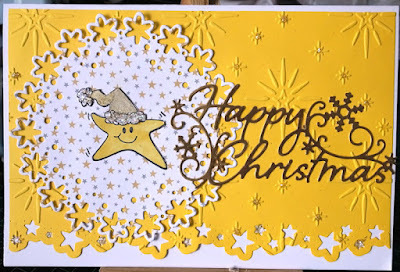 In the end I again cut a white base card and this time I made a mat using bright yellow card from my snippets folder, embossed with an Embosilicious folder, and cut with the star border die along the lower edge. I then used a Memory Box die to cut a topper from a snippet of starry paper, and stamped, coloured and cut a cute little Christmas star character from another snippet of white card. The stamp is a very ancient Anita's image. I knew I had it but it took a bit of finding! I added some gold-ice stickles to his hat trimmings, and to the smaller stars on the border and the embossed design. 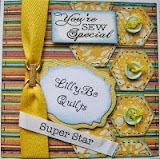 I finished it off with a sentiment cut from a little piece of dull gold card with a Signature die (I think). It's not the most usual colour for a Christmas card, but it is nice and cheerful. So I have managed to make three cards which each use a brand new die and a very old stamp, and I am entering them in the final Rudolph Day Challenge for 2015, at Scraps of Life by Scrappy Mo, and also in Pixie's snippets Playground. Wahoooo . . . three very different snippets and Rudolph Day makes . . . way to go Kate. Loving the look of your new dies. Happy Rudolph Day to you. Very beautiful Kate these border dies. What lovely cards Kate - love your use of the yellow card in the last card. Three fab cards Kate. All very different but equally gorgeous. A great trio of cards Kate, your new dies look great. The holly stamp and the snowman are some of my favourite stamps too. The printed vellums look lovely too, that was a lucky find. Three very different cards and all brilliant in the different way, and especially the snowman card as that it one of my very favourite snowman stamps. Three fabulous cards Kate - I'm with Kath about the snowman card, what a happy chappie :) You did so well with those dies and also the great paper find in Lidl. Well done! Gorgeous cards, Kate, I adore the first one, the stamp is wonderful. The third card is super fun and cheerful. Three great cards, Kate. You have done a wonderful job using your new border dies. They are all lovely. 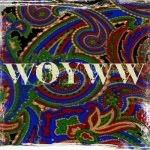 Often I tuck away new items and then forget to use them...out of sight out of mind so to speak. i think I need to take a lesson from you and make something with them before i file them away! 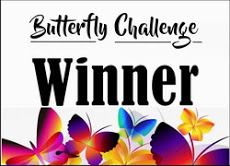 Thanks for taking part in the November Rudolph Days Challenge. Good luck in the prize draws. Lovely cards and I do like that Holly stamp too. Now I'm cross I missed those vellum pads in lidl. I may have to go back! what a beautiful array of Christmas cards for the Rudolf Challenge. They all so different , but equally so very nice. Gorgeous cards and wonderful borders, they've turned out really well. What a gorgeous set of cards Kate. I love the fact that you used yellow. There is not enough yellow around at Christmas. Well done on the bargains too. Three gorgeous cards, Kate! I love them all. Happy Rudolf Day! Great cards and nice to see yellow being used. I have never been in Aldi, but must try now I know they have craft supplies! Three fabulous cards, so different one by the others but all impressive! Love expecially that one in bright yellow, even if normally this is not a my favourite colour. It's so sweet and happy!